When we moved into our current house, I realized we’d have to be creative when it came to Christmas since any sign of the 1920s chimney and mantel had long since been renovated away. 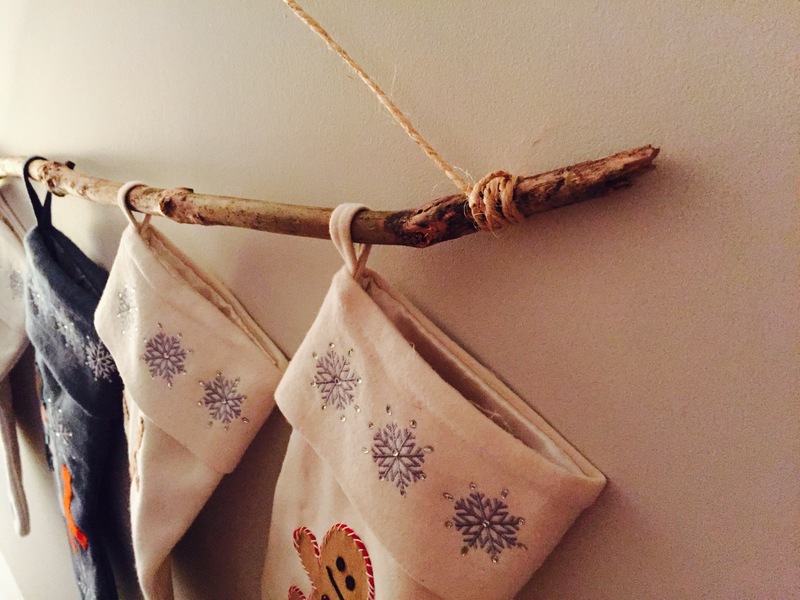 This year, rather than hanging them on the bannister with our Christmas cards, I made this simple, rustic hanger to show off our handmade stockings. I grew up in a house that really decorated for the holidays. Ever since our kids arrived in our lives, our decorating seems to up its game every year. We like the tree, of course, but having other ornaments, decorations, and homemade pieces all around us makes our house magical this time of year. 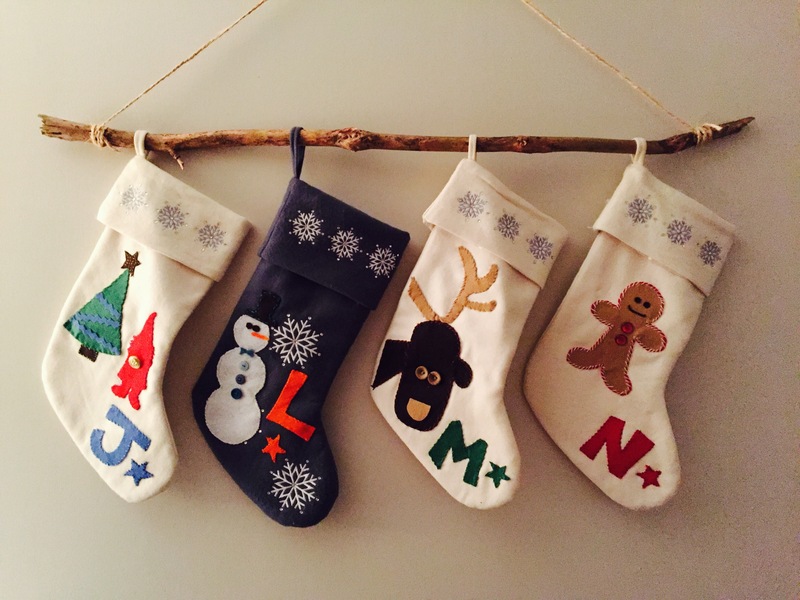 That’s why I like this Christmas stocking hanger – it brings some outdoor in, it’s homemade and it can be hung on any wall to add instant holiday art (until Santa needs them off the wall, of course). 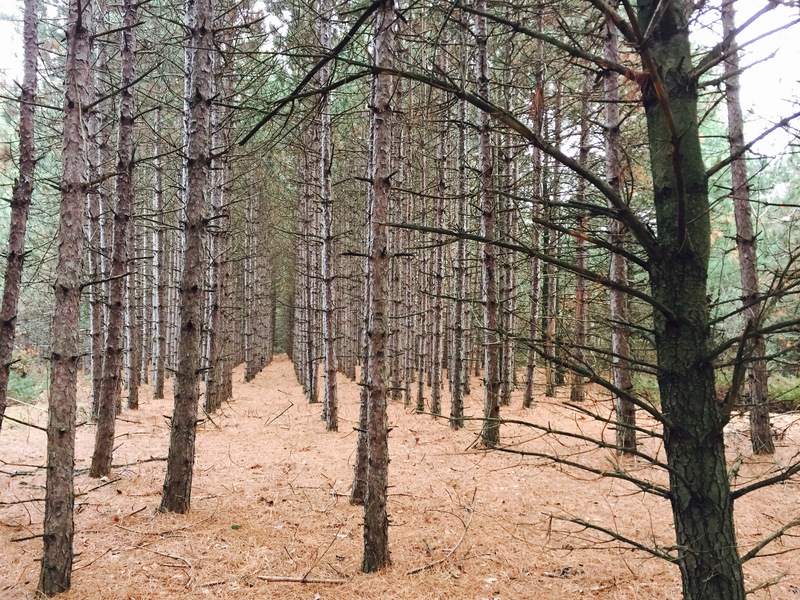 We found our stick in the woods – it was a stick that had already fallen off a tree and I broke it into roughly the size I needed. It was little damp so I removed the bark and brought it inside to dry out overnight. I put a 3M removal hook on our living room wall where I was planning to hang the branch. I slid our four stockings onto he branch and then cut a piece of twine, wrapping it around each end a few times and securing with a simple slip knot. 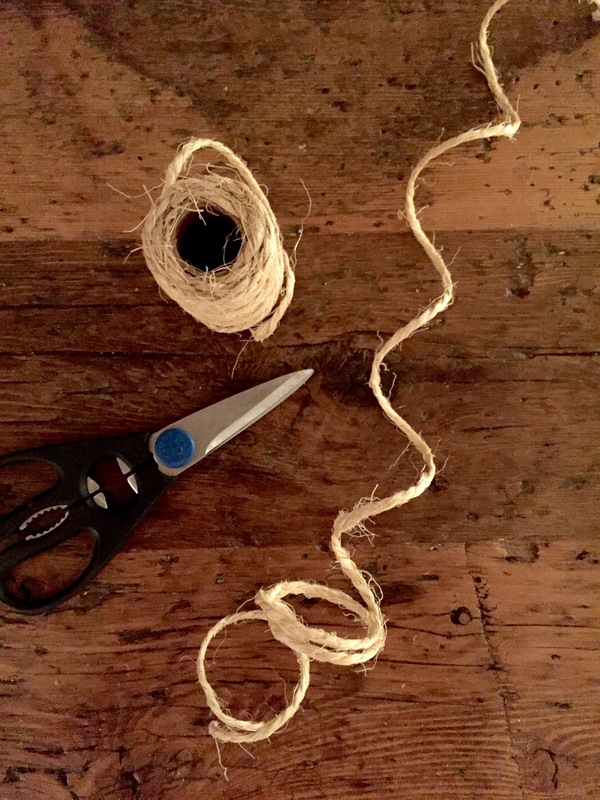 An easy knot will make it simple for me…er…Santa to get the stockings off to fill them on Christmas Eve. That’s it! Hang the twine on the hook and you’re ready to enjoy your stockings…even without a traditional mantel.